Brandon Underwood started his football career as a Tomahawk and then went on to Hamilton High School to be a star player. Brandon Underwood is rated the top Cincinnati-area prospect among incoming prep seniors, according to several recruiting services. He is rated the No. 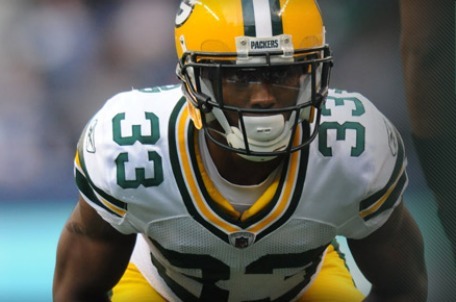 15 cornerback in America by TheInsiders.com, and the No. 15 player overall in Ohio by Ohio's Future Stars magazine. Underwood spent his first two years at Ohio State, where he was redshirted as a freshman in 2005. He played in the season opener against Miami, recording three tackles before suffering a season-ending shoulder injury. After his sophomore season, Underwood transferred to Cincinnati, where he earned first-team All-Big East honors in his senior season, recording 4 interceptions including one of Heisman Trophy winner Sam Bradford. Underwood was selected in the sixth round (187th overall) of the 2009 NFL Draft by the Packers. On February 16, 2012, he signed with the Oakland Raiders. On December 31, 2012, Underwood signed with the Dallas Cowboys.